Balanced pH formula won't rot stitching or dry out leather, leaves a perfect surface. Gently lifts ingrained grease, sweat and dirt so you can easily wipe away all that grime. No need to scrub, soak or scrape before conditioning your tack anymore! Wipes gently lift ingrained grease, sweat and dirt so you can easily wipe away all that grime. No need to scrub, soak or scrape before conditioning your tack anymore! An aggressive cleaner for very dirty leather. 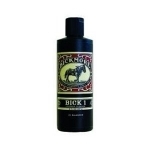 Always follow up with bick 4 leather conditioner to rehydrate leather! Will not change tone, texture, or color of leather. pH balanced blend of non-alkaline cleaning agents to safely and effectively clean finished leather. Safely cleans away most oil & water-based stains from suede, nubuck, roughout leather & fabric. Glycerine bar of soap, preserves, clans and softens leather. 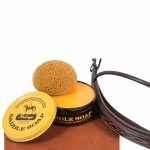 A fine grade saddle soap for leather goods. SmartLeather is a high quality leather dressing formulated to revive, clean and protect old leather. A superior leather cleaner and conditioner with tea tree oil; deters mold and mildew, with its antibacterial, antifungal and antiviral properties. 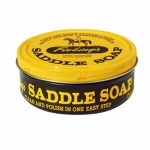 Cleans, beautifies, protects & softens saddle & boot leather, with vitamin E, sponge included. 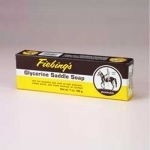 Glycerin soap is enhanced with vitamin E for superior conditioning & cleaning. Leather New saddle makes leather look like new after only a single application! Cleans leather and lubricates the fibers to prevent brittleness, all the while maintaining suppleness. 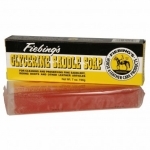 Restore leather to its full-bodies suppleness with a Fiebing 100% Glycerine Saddle Soap Bar. Cleans thoroughly while restoring the natural preservative leather oils. 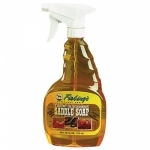 Cleans leather and lubricates fibers to prevent brittleness. A complete cleaner and conditioner in one. Perfect for use on smooth leather. 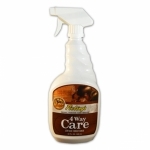 4-Way Care preserves leather by waterproofing and replenishing tanning oils. One step easy-to-use non-aerosol micro-spray penetrates, cleans & conditions leather. Releases & gently lifts away deep down dirt & grime, then preserves & conditions, cream or spray.